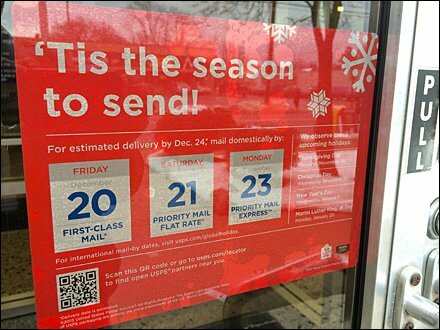 Even the United States Postal Service lays on the Holiday cheer with a tag lines like “Tis The Season to Send” and a motivational point-of-Purchase countdown on last minute shipping dates. 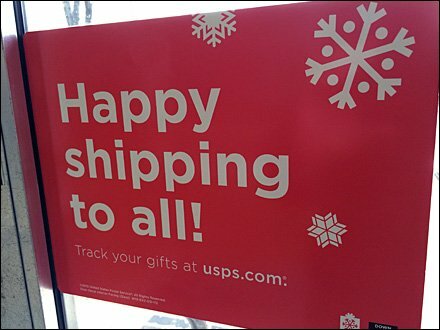 The obverse carries the major greeting: “Happy Shipping to All.” CLICK the thumbnail and take a look. Ten put a hustle on your Christmas shopping. You are almost out of time.